Though commonly referred to simply as “Chase” by consumers, Chase Bank — or, formally, JPMorgan Chase & Co. — can trace its lineage all the way back to 1799 New York City, and a savvy water company by the name of The Manhattan Company. Since that time, Chase has continuously expanded, growing as a company and merging with a number of notable banks, to become the largest bank issuer of consumer credit cards in the US. Part of the reason for the bank’s success in consumer credit is the array of attractive rewards cards and programs, including the Chase Sapphire Preferred® Card, which is frequently recommended as a top travel option. Additionally, the Chase Freedom® and Chase Freedom Unlimited® cards are particularly popular as everyday cards, offering solid limits, usable rewards, and a host of additional card benefits. When it comes to obtaining a new Chase Freedom®, you’re likely going to want a credit score in the 700 and up range (“good” to “excellent” credit), but reviews suggest you can still find approval with a lower score. In fact, multiple reviewers were approved with scores in the mid-600s, and one reviewer reported being approved with a score of 644. In addition to heavily factoring into your approval odds, your credit will be used — alongside your income and current obligations — to determine your new card’s credit limit. Credit Karma data suggests the Chase Freedom cards seem to typically offer a respectable initial limit averaging around $3,000. More specifically, about 20% of Chase Freedom® cardholders reported limits in the $300 to $1,000 range, and another 20% of users obtained limits above $5,000. In general, it appears the minimum limit to be $300, while the maximum limit is around $20,000, although one reviewer reports receiving an initial $24,000 limit. 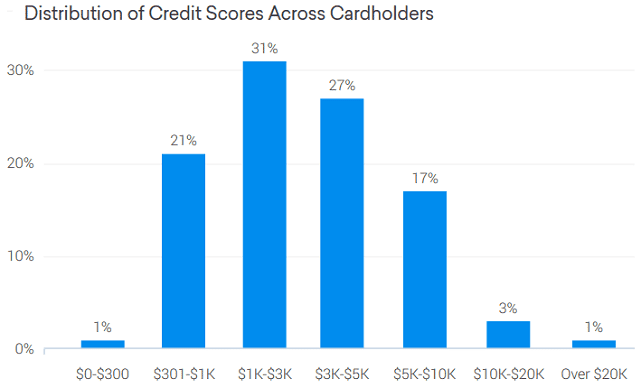 This graph from Credit Karma shows users’ reported credit limits. Of course, those approved for a Chase Freedom® despite their low credit scores will likely have to settle for a lower credit limit. In particular, reviewers with scores below 700 when applying were more likely to be approved for below-average credit limits. 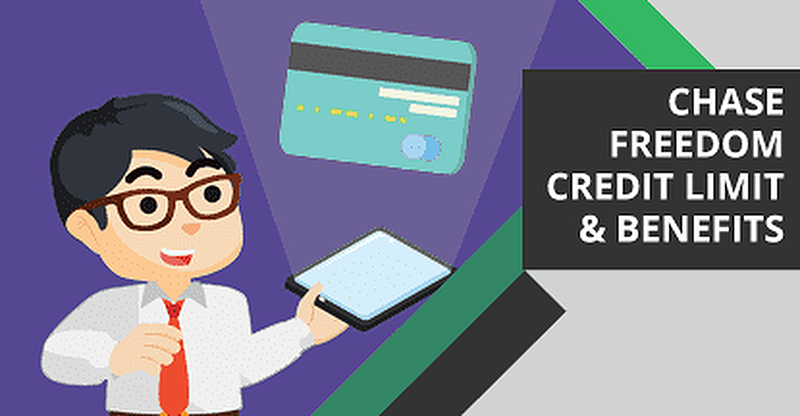 For most credit cards, cardholders have two ways to increase their credit limits. The first is through an automatic increase, which is an unsolicited credit limit increase granted by the issuer. The second is to request a credit limit increase through the issuer’s website or customer service line. At the same time, other users complain that Chase is actually stingy with the automatic increases, referencing year-old cards (or more) that have never seen an increase. On the other hand, many reviewers seem to have good success with directly requesting credit limit increases from Chase. While this process does involve a hard credit inquiry, it may be the most effective way to increase your Chase Freedom® credit limit. For many cardholders, the best thing about the Chase Freedom® and Chase Freedom Unlimited® are the cash back rewards. The rewards also happen to be the main difference between the two cards, coming down to a choice between bonus categories and flat-rate cash back options. For those consumers whose spending typically occurs at popular locations, such as grocery stores or restaurants, the 5% bonus offered by the Chase Freedom®‘s category-based cash back program can offer a lot of value. The 5% does have a limit of $1,500 a quarter, but users will still get 1% unlimited cash back on all other purchases. Cardholders can earn 5% bonus cash back in new categories every quarter with their Chase Freedom®. One thing to keep in mind is that specific bonus categories change each quarter. For example, during the second quarter (Q2) of 2017 — April 1 to June 30 — cardholders earned 5% back on grocery store and drugstore purchases. Then, at the start of Q3 — which runs July 1 to September 30 — the category switched to restaurants and movie theaters. You’ll also need to go online to activate your new bonus categories each quarter to ensure you earn your 5% cash back. This can be done through your credit card account page or by entering your information into Chase’s rewards activation page. You can typically activate a new quarter 30 to 60 days before the start of that quarter. If the idea of rotating categories isn’t appealing or your spending simply doesn’t conform to popular categories, the Chase Freedom Unlimited® instead offers an unlimited flat-rate 1.5% cash back on every purchase. As its name suggests, the Chase Freedom Unlimited® has no maximum to how much cash back you can earn, and you won’t need to activate anything to start earning. Regardless of which card you select, your cash back rewards won’t expire so long as your account remains open and in good standing. Most rewards will post the following statement cycle and you can then redeem your cash back at any time, for any amount. You can also choose to redeem your rewards for gift cards to dozens of popular merchants. While cash back rewards are certainly the flashiest and most popular perks of a Chase Freedom®, they’re hardly the only benefits. Your new card will also have a range of built-in benefits that you may not even know about. To start, you won’t have to pay an annual fee for either the Chase Freedom® or the Chase Freedom Unlimited® card. The Freedom cards also come with attractive signup bonuses, made easily attainable with reasonable spending requirements. 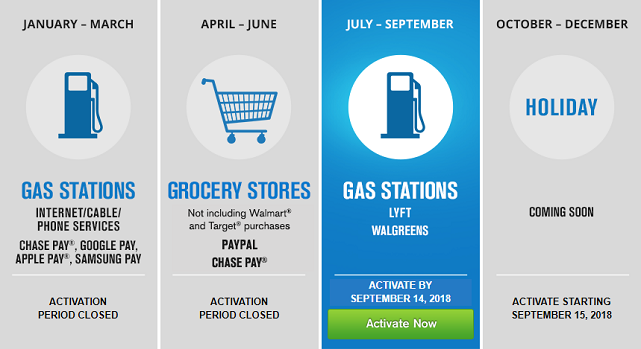 Remember that you can only receive one signup bonus per card per 24-month period, regardless of whether you’ve closed the card within that period. The Chase Freedom® card comes with a variety of card benefits, including protection against unauthorized users. On the security side, Chase Freedom® cardholders can find comfort in Chase’s Zero Liability Protection that comes standard with their Chase Freedom®. This means you’ll never be held responsible for unauthorized charges made with your card or account information. Users can also enjoy shopping and travel benefits when using their Chase Freedom® or Chase Freedom Unlimited®. These perks include purchase and extended warranty protection for products paid for with your card, as well as auto rental collision damage waivers and roadside dispatch (for Visa cardholders) or roadside assistance (for Mastercard cardholders). As evidenced by its decades of experience and millions of customers, Chase has certainly learned how to give people what they want in a credit card — and the Chase Freedom® and Chase Freedom Unlimited® are hardly an exception. Offering generous credit limits and favorable rewards, the Chase Freedom cards are a popular choice for an everyday credit card.